The biggest takeaway from last night's primaries and runoffs in Texas, Georgia, Kentucky, and Arkansas: Republican voters played it safe, while Democrats advanced fresh faces and diverse candidates. Why it matters: Democrats have a new playbook to consider moving forward in the 2018 midterm elections. These races were all in the Deep South, but left-leaning voters in these reliably red states showed they're ready for change. Progressives can win in the South. Georgia has its first black woman gubernatorial nominee, Stacey Abrams. 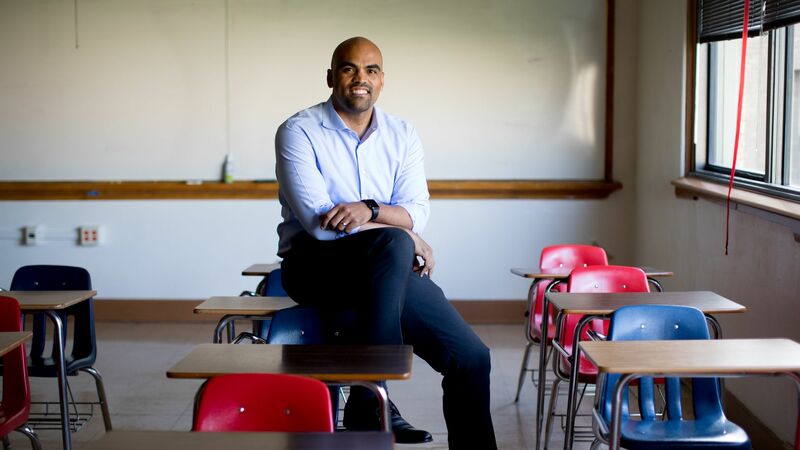 Colin Allred in Texas presented himself as a candidate of a new generation for the party. Kentucky's Amy McGrath is the "new anti-establishment." These victories dispel the "Conor Lamb mold" that suggests successful red-state/district Democrats have to cater to moderate, white working-class voters. Big wins for the Club For Growth. The GOP group that supports limited government and the free market invested in five congressional candidates in Texas. Four of them are advancing to the general. They're familiar faces and typical choices. Chip Roy is Ted Cruz's former chief of staff and Michael Cloud had support from former GOP Rep. Ron Paul. They'll almost certainly become the newest members of the conservative House Freedom Caucus if elected to Congress, per Huffington Post's Kevin Robillard, meaning the group could shift's Texas' representation in Washington farther to the right. Texas might not be turning blue, but it's certainly got more color. A few of the Democrats heading to the general: An Air Force vet whom Angelina Jolie might play in an upcoming movie (MJ Hegar); a former NFL player (Colin Allred); and the first lesbian, Iraq War vet & Filipina-American to hold a House seat in Texas, if elected (Gina Ortiz Jones). There was a voter enthusiasm gap — for both parties in different areas. Republican incumbent Andy Barr had a challenger in Kentucky's sixth district, and yet only 48,372 votes were cast by Republicans to Democrats' 100,418 votes. This enthusiasm gap was notably flipped in the Club For Growth races, where Republicans turned out at nearly twice the rate of Democrats. And in Arkansas' gubernatorial race, where a Trump tweet may have inspired the 202,621 Republican voters who came out compared to 105,775 Democrats. Teachers strike back. Kentucky's House Republican Leader Jonathan Shell lost his re-election bid to Travis Brenda, a local math teacher. Kentucky teachers went on strike April 2. Watch for the potential power of teachers as crucial voters in some of these elections across the country where they've had major strikes and walk-outs. One candidate to watch: Lucy McBath, heading to a runoff in Georgia's 6th district. Not only is she running in the district lost by Jon Ossoff, but she's a black woman with a platform that highlights ending gun violence at a time when it's finally become a national issue, but she's been affected by gun violence since at least 2012.